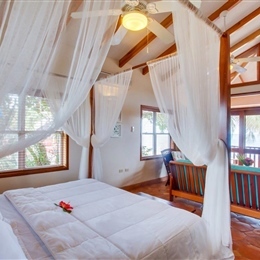 Spacious suiteswith a picturesque view. 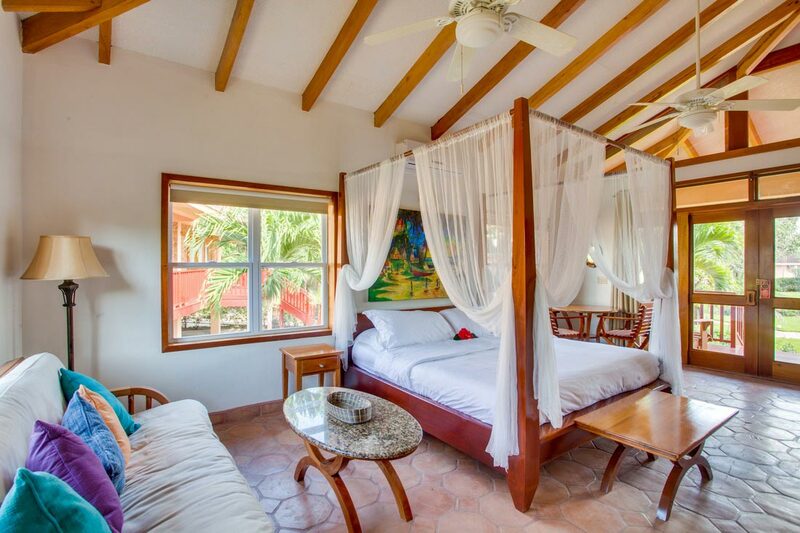 With vaulted ceilings and exposed beams, our first floor One Bedroom Suites are large and airy providing the ultimate in comfort and convenience. 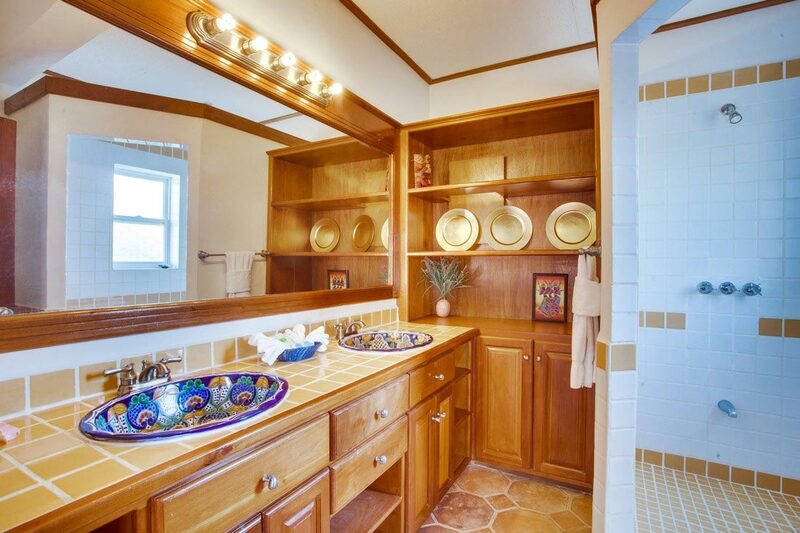 Our One Bedroom Suites feature an en-suite bath complete with a walk-in shower and colorful double vanity hand painted basins. 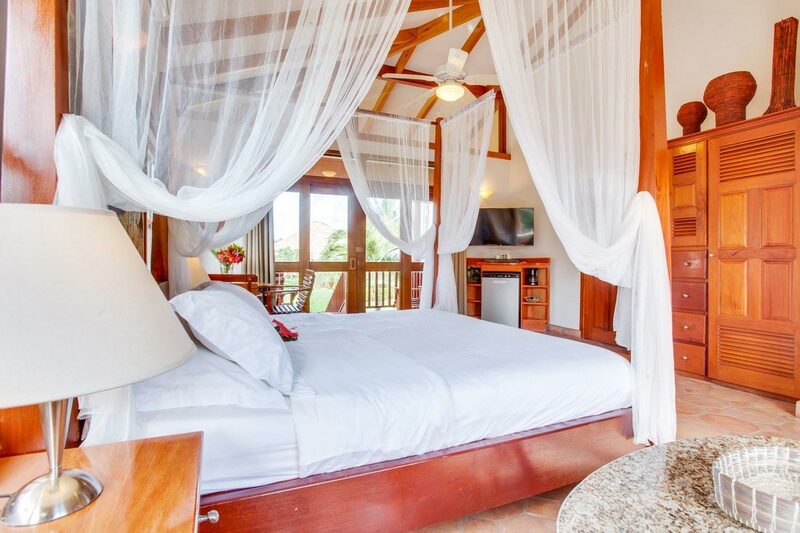 Perfect for a romantic candlelit dinner, the oversized veranda is just steps from our beach. 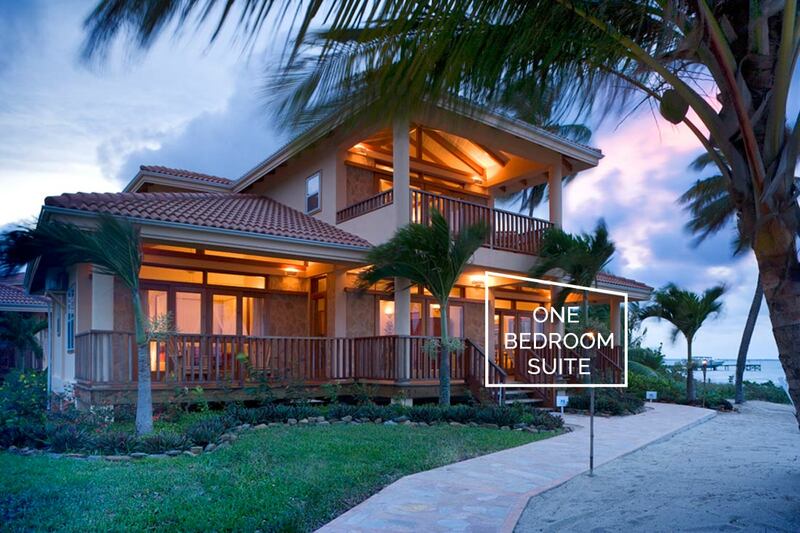 What is the difference between the One Bedroom Suite and One Bedroom Premium Suite? 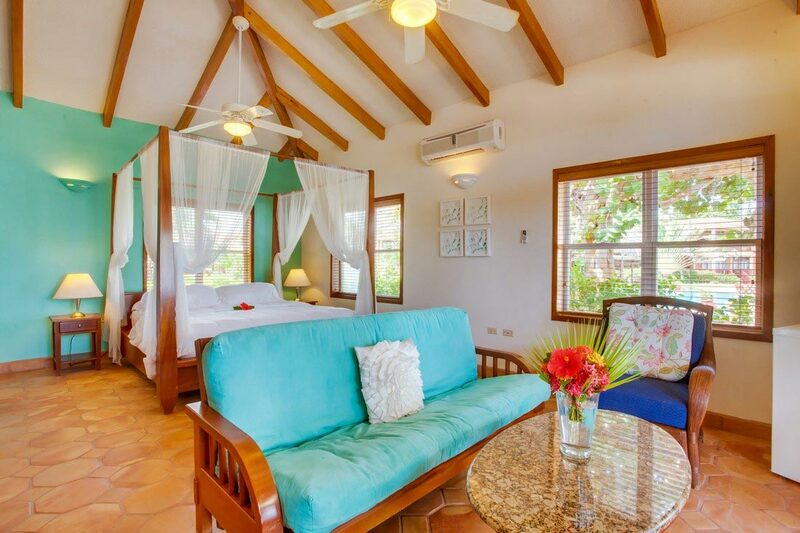 The primary difference between our One Bedroom Premium Suite and our One Bedroom Suite is it's location in the Villa. 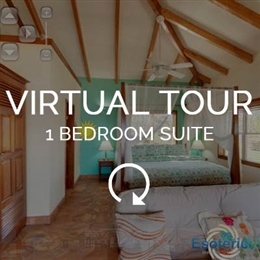 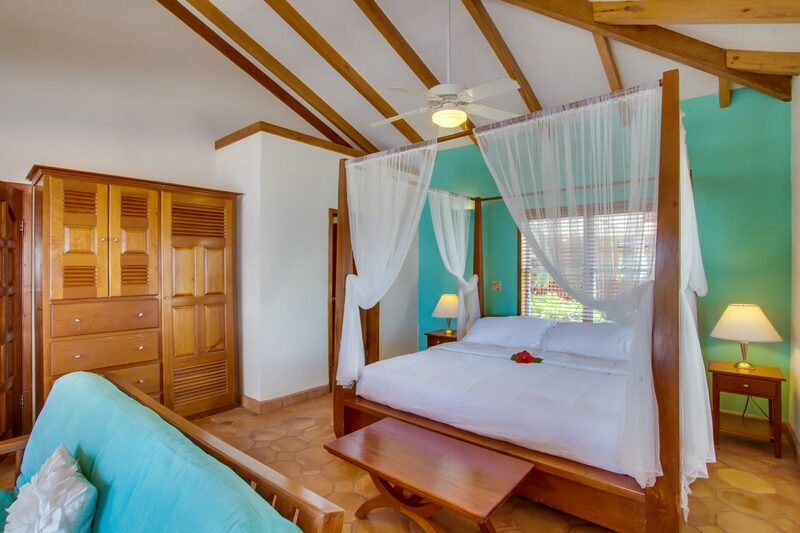 The One Bedroom Premium Suite is located on the 2nd or upper floor, while the One Bedroom Suite is located on the 1st or lower floor of the villa. 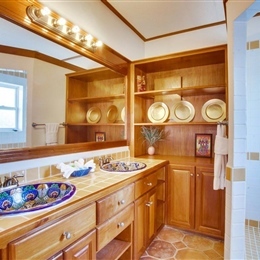 Additionally, the One Bedroom Premium Suite has a small kitchenette complete with a microwave and two private balconies. 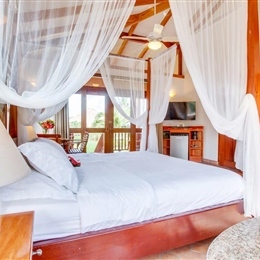 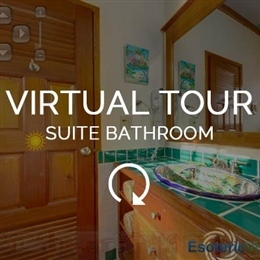 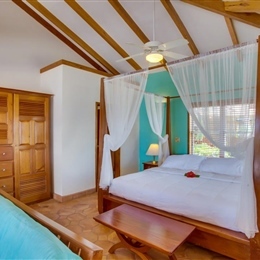 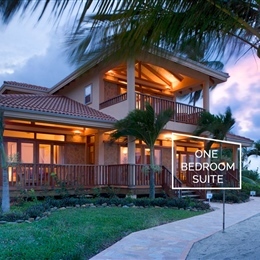 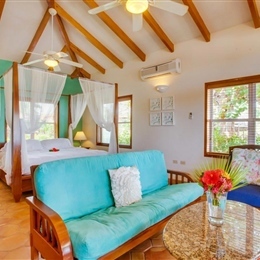 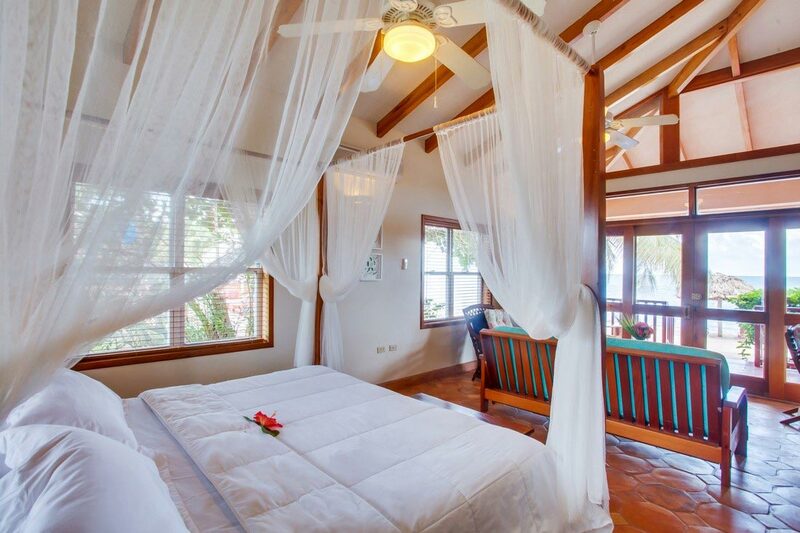 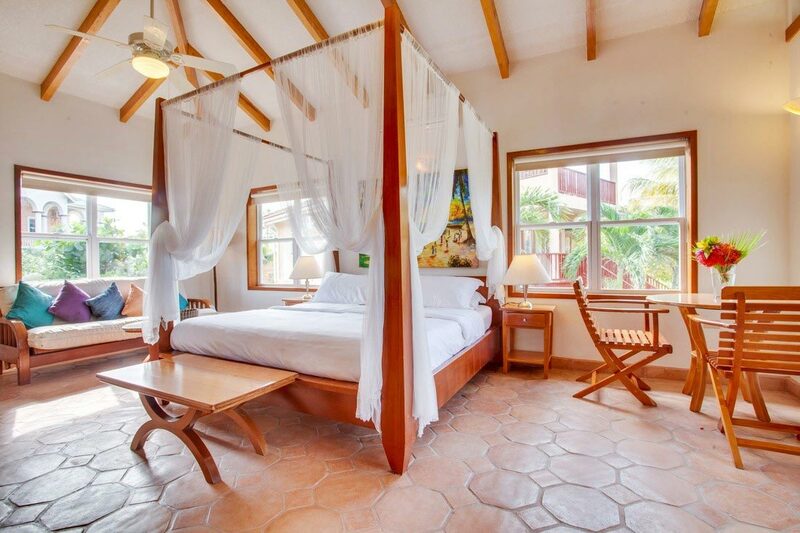 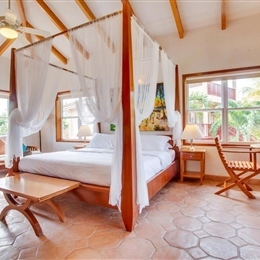 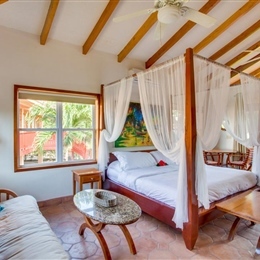 The One Bedroom Suite offers a covered first floor veranda furnished with chairs overlooking the Caribbean Sea.